100 ton Electric Arc Furnace (EAF). Two 100 ton AOD converters. Two coil build up lines. Batch annealers for certain ferritic grades. Two annealing and pickling lines (A&P). Three 1 300mm Sendzimir reversing cold strip mills. One 1 500mm Sendzimir reversing cold strip mill. Heavy plate cut up line. 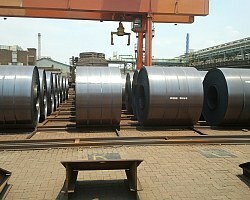 Combination coil and plate processing line. 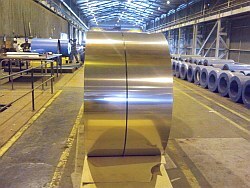 Coil storage, packing and despatch facilities.